Published to accompany Hannes Schüpbach’s first large solo show at the Kunsthalle Basel, Hannes Schüpbach. Cinema Elements presents the first in-depth look at the visually stunning work of this important Swiss filmmaker and artist. Schüpbach is best known for his 16mm films, which have been shown at the Kunstmuseum Winterthur, the Centre Pompidou, the Biennale de l’image en mouvement, Geneva, Museo Nacional Centro de Arte Reina Sofía, Madrid, and the Tate Modern, London. Schüpbach’s work as a film maker has been strongly influenced by his teachers Werner von Mutzenbecher and André Lehmann, both leading figures in the experimental film movement in Basel in the 1970s and 1980s. Schüpbach’s work also includes large, connected series of paintings whose simple combinations of colors attract the viewers’ physical movement in the space. Hannes Schüpbach. 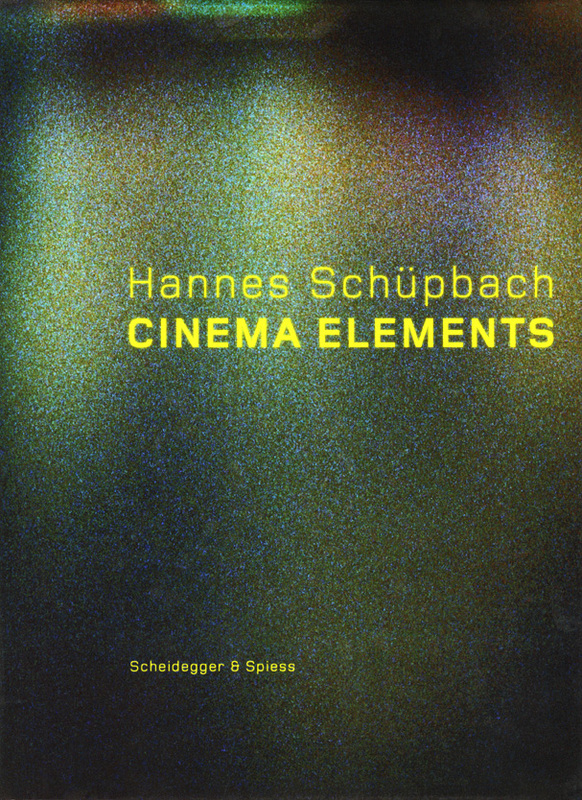 Cinema Elements features many large-scale film stills and images of his paintings, alongside essays by critics and by Schüpbach himself that explore the key elements of his work as a filmmaker, such as his use of montage, repetition, and loops.